Already own a home in the Montrose area? Thinking of selling? Click here and read about current search trends & our web network. 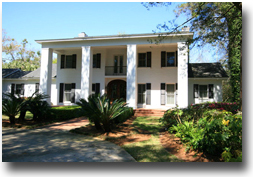 Montrose homes for sale in the Daphne and Fairhope, AL are close to both cities business districts but secluded. A short drive to both Mobile, AL and Pensacola, FL, Montrose is literally in between both Fairhope and Daphne. Fairhope, AL is consistently voted one of the best places to live in America due to the beautiful landscape, great school systems and numerous other amenities. Mobile and Pensacola both have regional airports and are larger cities with lots of entertainment venues including minor league ball teams, malls, restaurants and theaters. If you need further info, have questions or would like to schedule a viewing for any of the homes for sale in Montrose or any other properties in the area, please email info@condoinvestment.com or call (251) Area-Pro (251-273-2776) for immediate assistance.